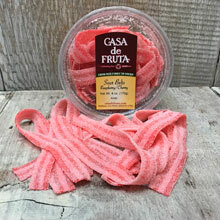 Raspberry/Cherry flavored Sour Gummi Belts. Packaged in a 6 oz. tub.